This tutorial is featured in the preview post. Since Usamimi headbands are popping up everywhere, I thought I should just join the trend and make a pair for myself. If I ever work up the courage to wear it in public, that is. 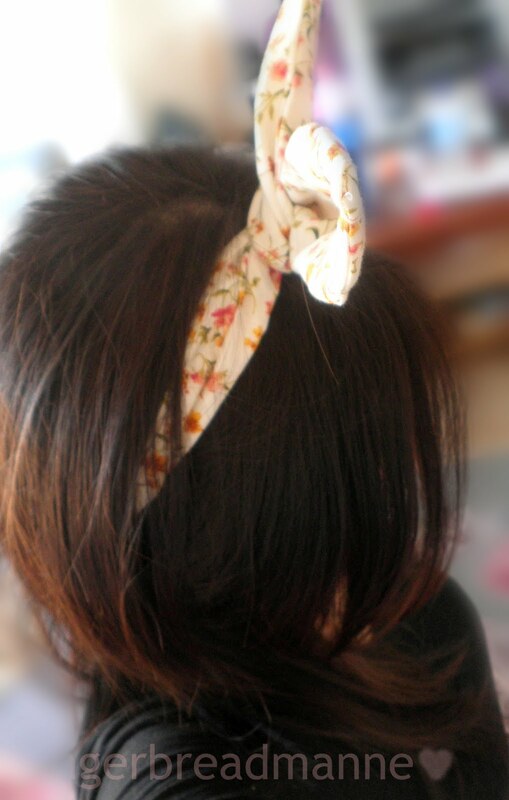 These pointy headbands are all the rage right now. Personally, I prefer mine either really short or really tall. 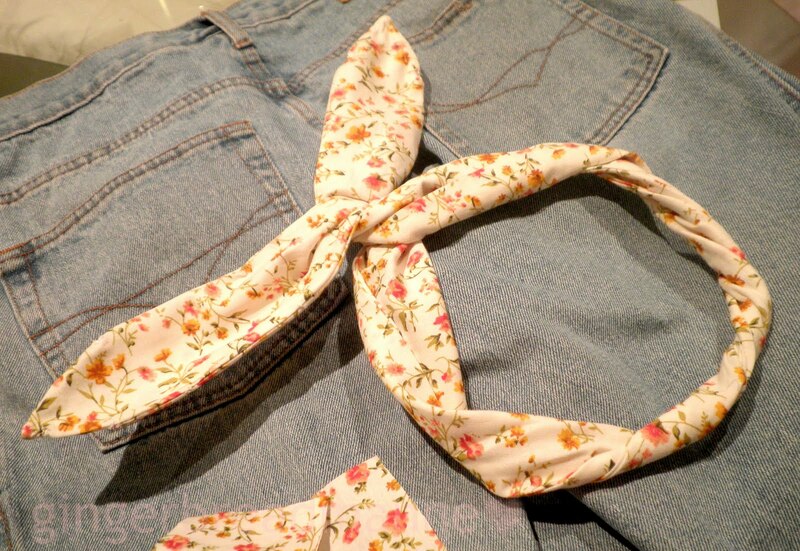 In this case, I've made a really tall one to emulate Usamimi and their bunny ears. Here's a tutorial if you want one for yourself. Gather your equipment. 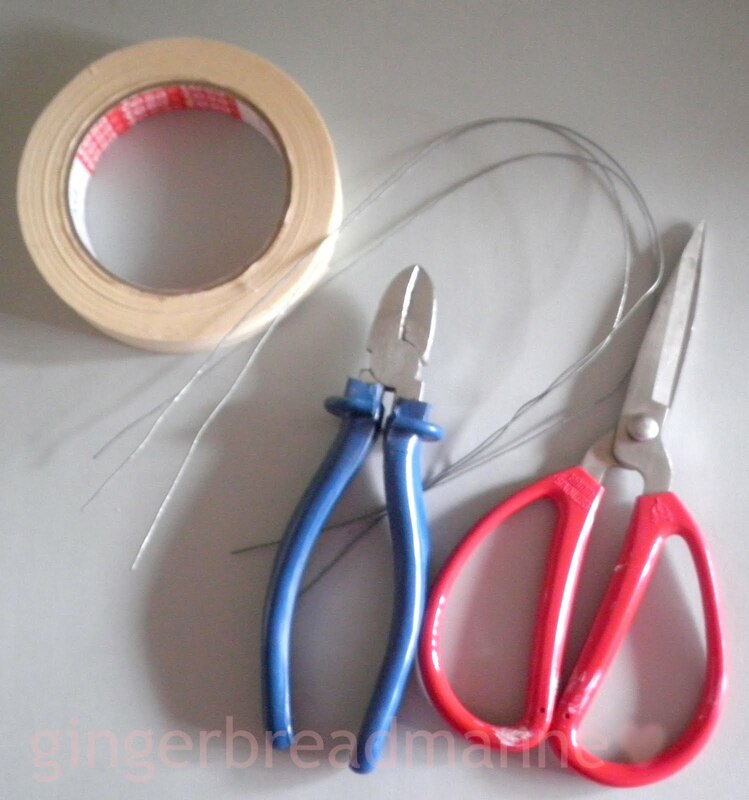 This includes some wires, masking tape, scissors, pliers, fabric, and some needle and thread. A sewing machine is optional is you have one available. I made my pointy ears quite long. So cut 2 strips of fabric that is 9cm x 1m. 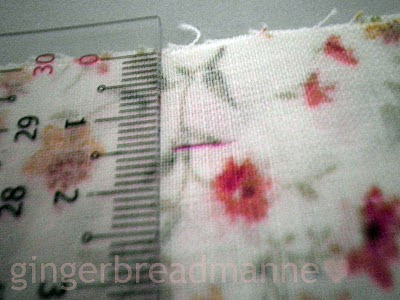 Don't stress, 1.5cm seam allowance is included on both sides. 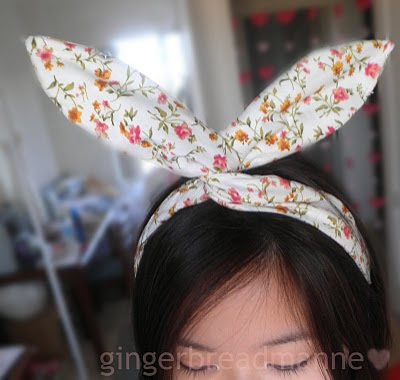 So the actual headband will only be 6cm wide. Now's time to twist the wires together. Your wires will need to join to make a long piece that is just a little over 2m because it needs to be folded in half to create the point. The wire is what will make those points stand up straight. If you are making a Usamimi that is quite short in height, then the wire should be optional. Wires can be found in craft shops. After twisting like the photo above, use masking tape to seal the points for a smooth finish. Being poked by wires is more painful than you think. 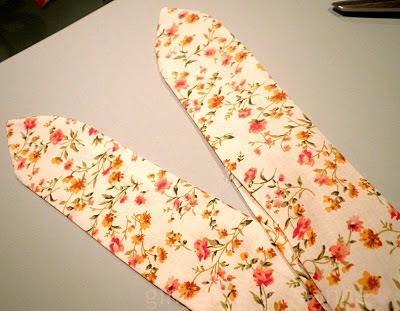 Now it's time to sew the fabrics. Iron your fabric out first. Always iron! Always always always! I used a cotton floral fabric that I bought from Spotlight. I can't wait to make a summer dress from this. 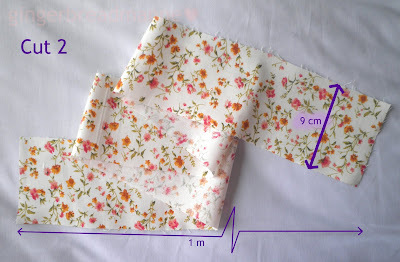 Anyways, measure out 1.5cm from both sides. 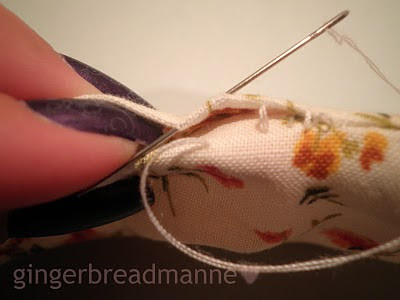 Skip this step if you're using a sewing machine. 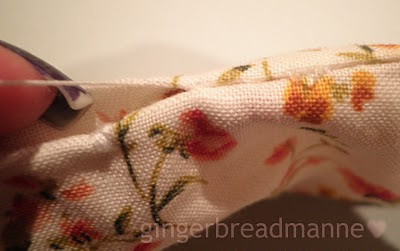 Place your fabric the right sides together (the side that you would want the world to see). So you're looking at the wrong side. 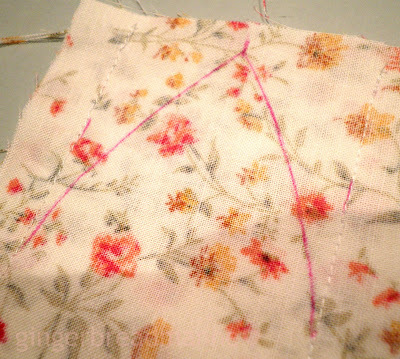 Sew along the longer edges. 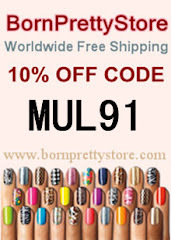 However, leave a 10cm gap on one side. This is the place where you will feed through your wire. Look at the diagram if you're unsure. 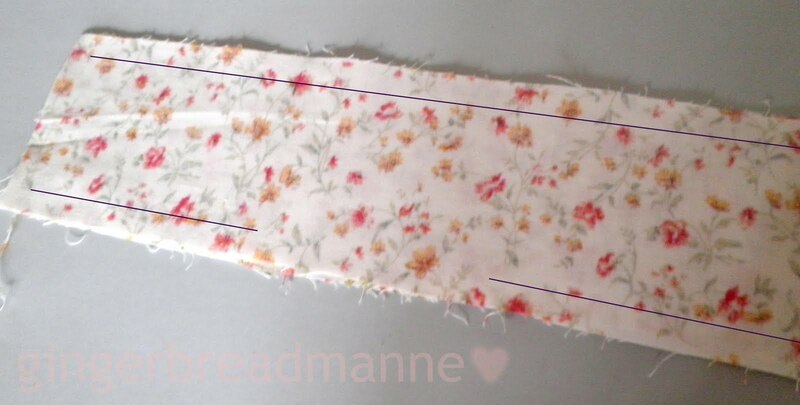 If you're hand sewing, try to use a backstitch with small stitch lengths so that your headband won't break so easily. After you've done the sewing, its time to mark out the point on the ends. Draw any shape you like. Whatever floats your boat. Then sew along what you've drawn. Now it is time to flip your strip to the right side. This is where the 10cm gap is coming handy. 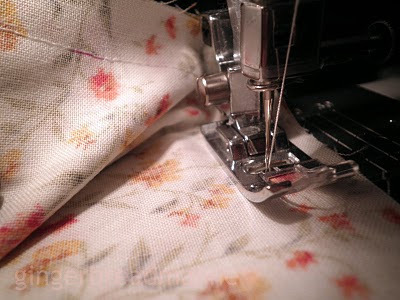 Here's a tip: trim the fabric close to the point to prevent bulking. After you've flipped it then ironed it flat, it will look like this. Isn't it beautiful? Can you see the gap that I've left? Now feed your wire through. Make sure your pointed bit of the wire is pushed right into the point in the fabric. 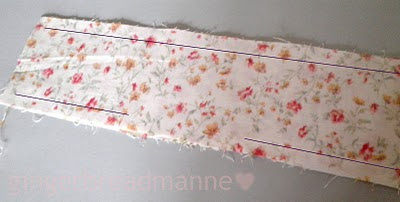 After feeding in one pointed side, twist the ends of your wires into a triangular point (remember to masking tape it) and feed into the other end of the fabric. 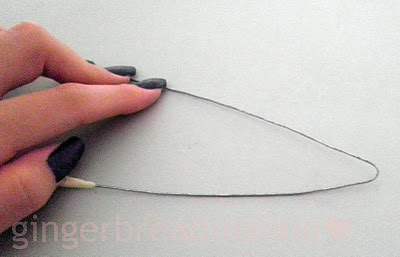 Now use a needle and thread, tack the wire into place. It doesn't matter if you can see the thread because noone is going to scrutinise your headband upclose. Use an invisible thread if you're picky. See, you can hardly notice my dodgy sewing. Now repeat the tacking process every 3-5cm intervals on the pointed section and further apart on the straight section. This will help the wire to stay in place. Ladder stitch your opening close. 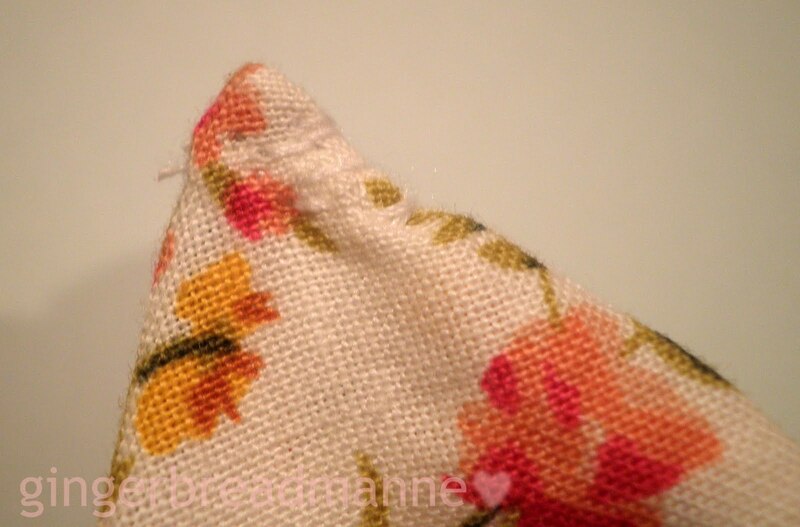 Ladder stitch cannot be seen once it is pulled tight. There you go, no visible stitching what so ever. 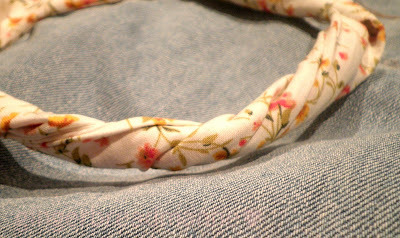 Now that your headband is fully sealed and secured, I twisted the middle parts to make it thinner. This is completely optional and depends on your personal taste. This is such a simple and affordable project. I've completed it in under 2 hours without spending a single cent (the fabric doesn't count because I bought it nearly a year ago). I didn't even have instructions. It is all off the top of my head. I wish I could put more effort into my studies instead. You could try this in denim. It'd look so cute! Go and have fun! Sew lots but don't prick yourself. This is so pretty and cool. You are very creative! 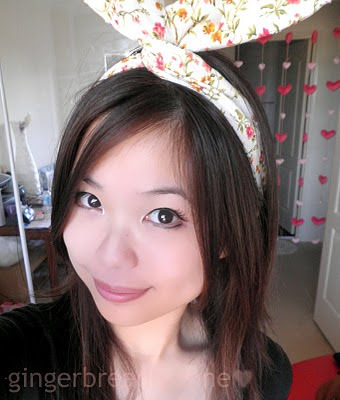 I do have to admit that I couldn't resist photoshopping my eyes so that they are legit Joanna-sized.